The new BEAUTYGEN series contains the extract from snow algae, which activates the skin’s ‘beauty-gen’. 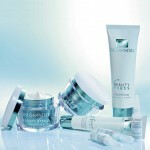 The collagenous fibres are strengthened and provide for higher elasticity. Snow algae verifiably increase skin cell activity and reduce damages caused by UV radiation. Snow Algae Extract is convincing thru its high antioxidative potential. This revolutionary effect is strengthened by the double action of anti-age peptides: Not only do they support the skin’s repair process, they also slacken its aging process. Category: Dr. Grandel. 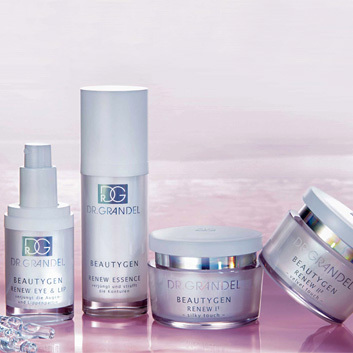 Tags: beauty gen, dr. grandel.